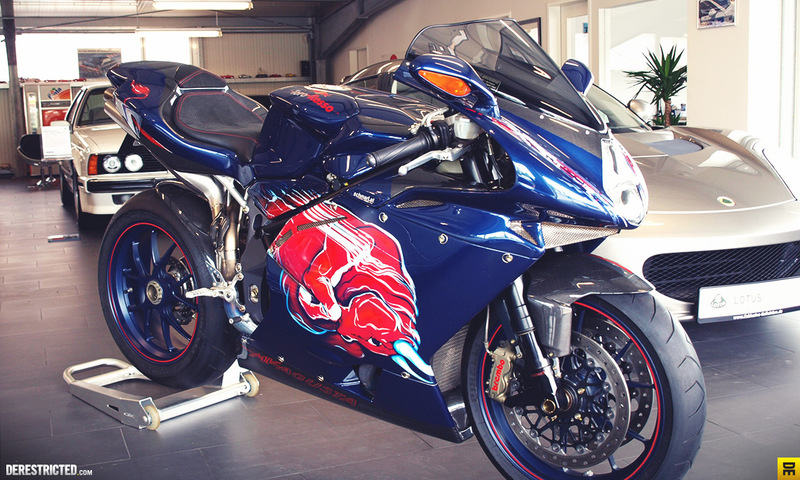 I received a nice email from Sebastian Schaeffer at SPORTWAGEN TEIBER together with some photos of the MVAgusta F4 CC (Claudio Castiglioni) Special edition Toro Rosso. 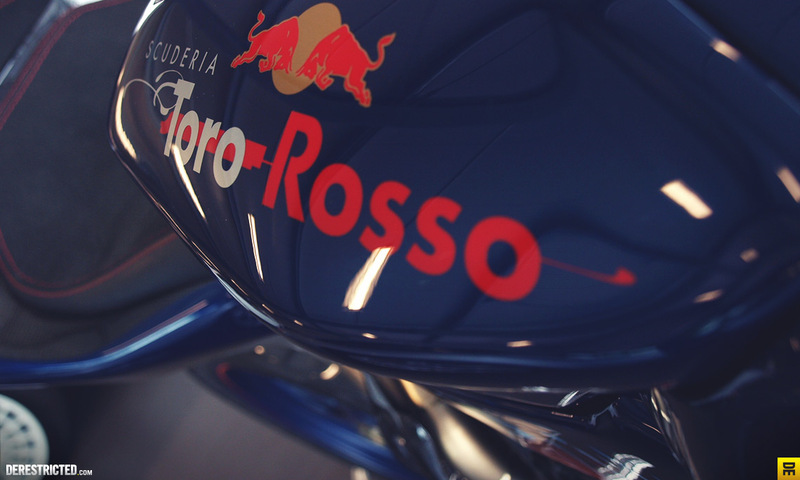 He told me that only 2 of these Toro Rosso versions were ever built out of the 100 CC special edition F4’s so it’s quite a special bike. 240 horsepower, 206kg, 315 km/h top speed. I like the martini racing Integrale in the background too! 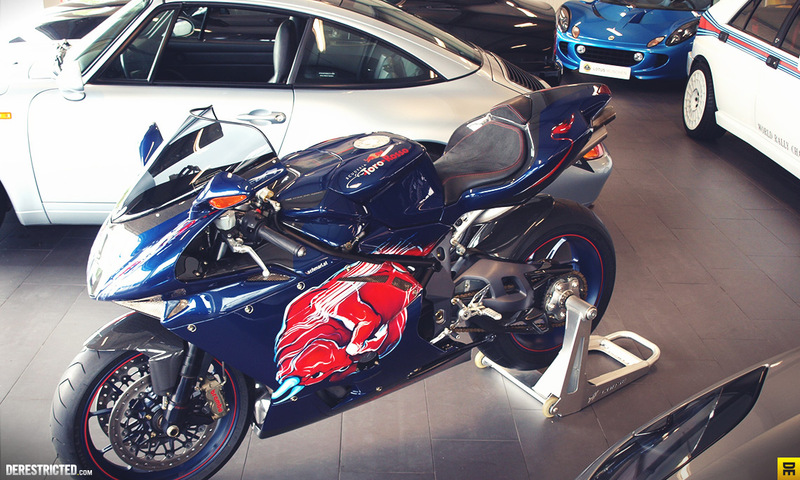 when we started research into the MV Agusta F4 100 CC edizione toro rosso back in february, the only traces we could find in the www we´re your pics at derestricted.com. And it helped us to believe that there is a real story behind this bike, more precisely THE bikes. 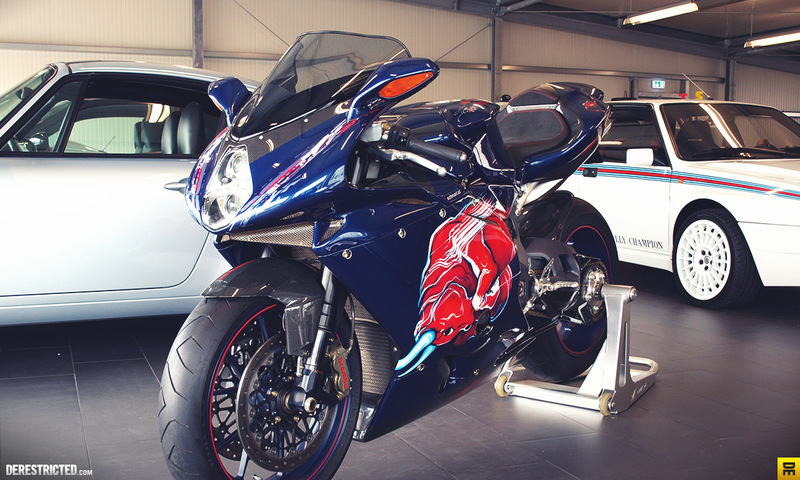 And now that we own the other one of those 2 ever built edizione toro rosso, we want to share our pictures with you. Maybe it´s fun for you to watch and good to know that there are some other photos than your iphone-snapshots. By the way, your page is great, and unfortunately i have to do some work right know, otherwise i would stick to the tons of stories, pix and videos. And where is this KISKA lunch ride trail?